Westside Rustic Vineyard Property. Walking Distance To Wineries. Close To Town. Property 8: Westside Rustic Vineyard Property. Walking Distance To Wineries. Close To Town. Property 30: Charming-completely renovated-private-cozy and sparkling clean. 1 bedrm 1 bath. Property 31: Green Acres Farm located right outside of McMinnville, TN. Renovated 200 year old barn on quiet country road. On 10 acre farm. Property 36: Renovated 200 year old barn on quiet country road. On 10 acre farm. Property 37: Beautiful views. Mountain setting. Newly finished, private, barn apartment. 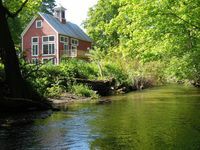 Cozy, quaint & great location! Property 39: Cozy, quaint & great location! Property 40: NEW: Architect-designed historic CARRIAGE HOUSE w/heated pool, AC, walk to town! Ava Haus B & B Dairy Barn. 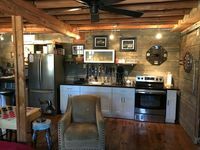 Property 45: Ava Haus B & B Dairy Barn. Property 48: Historic Property, 1860's Barn, A One of a Kind! My 70 yr old Father-in-law was a little apprehensive when we told him we were staying in a barn. He was impressed when we arrived and he saw how great they fixed this place up. All the comforts of home wrapped in a unique experience. Doubt you will find another place like this on your next destination.